Donate — Animal Response Foundation, Inc. Animal Response Foundation, PO Box 823, Somerville, TN 38068. ARF board members and volunteers get no monetary compensation. Thank you for your donation-you are a lifesaver! Donations and fundraisers for ARF allow us to continue to perform the life saving work we do! It enables us to dig in for the long haul sheltering animal cruelty victims while they await their day in court so their abuser(s) can be brought to justice. Many rural counties, including those in our district (the 25th judicial district) do not have the facilities or the funds to care for animal victims in large scale animal seizures so this is where we come in when invited by law enforcement, providing law enforcement with emergency animal handling expertise on scene, emergency shelter set up and care and emergency transport and eventual placement of the animals. 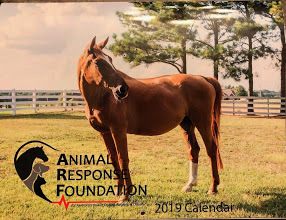 Funds also allow us to provide specialized rescues for down horses with our rescue rig, our equine sled and our Anderson Sling and to rescue horses who have fallen on hard times whether from neglect, abuse or an owner’s inability to care for them anymore. -click on the PayPal link and when paying please put your mailing address in the “special instructions to seller” section on PayPal and your calendar will be on its way!